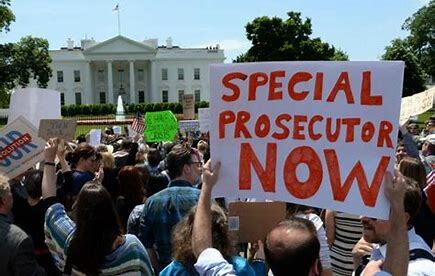 What is So Special About a Special Prosecutor? | "Northern Crossings"
What is So Special About a Special Prosecutor? The news is replete with discussion of indictments, grand juries, lying to the Government, coverups and clandestine informants and “special” prosecutors. Something is wrong with a system that allows congress to shirk it’s responsibilities and place it’s over sight and investigative powers into the hands of secret, “special” investigators. The whole concept of privacy, freedom from search and seizure and a whole host of other “rights” seem to disappear down a rat hole of behind the scenes nonsense. When the deputy Attorney General gives the President of the Untied States his opinion that the President has every right (which he does) and good reasons (which even the Democrats had believed) to fire the Director of the FBI and the President does so, and the General turns around and calls for a special counsel to investigate the President for obstruction for following his advice, we have gone down some rabbit hole..
demanding the swiftest possible imposition of the death penalty on himself as a minimum punishment for the abominable crimes of these almost always innocent (at least of what they were admitting), people. Song Catalogue or is it Catalog?